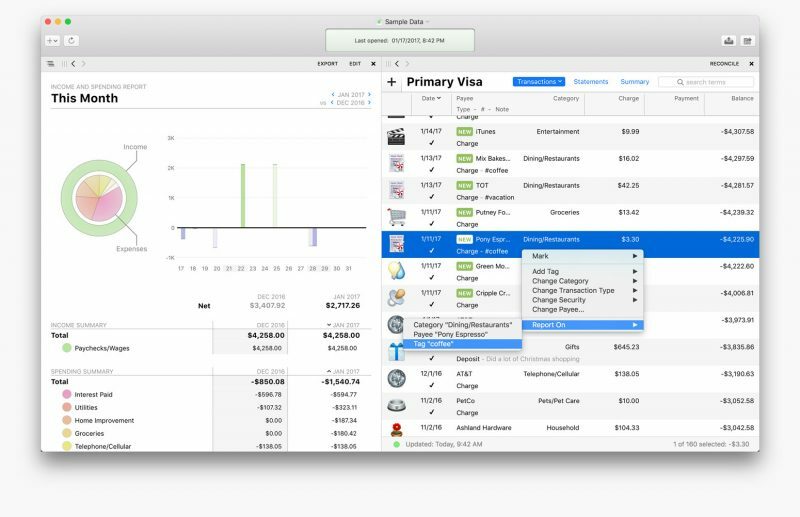 IGG Software today announced the upcoming launch of Banktivity 6, the latest version of the popular personal finance app for Mac. 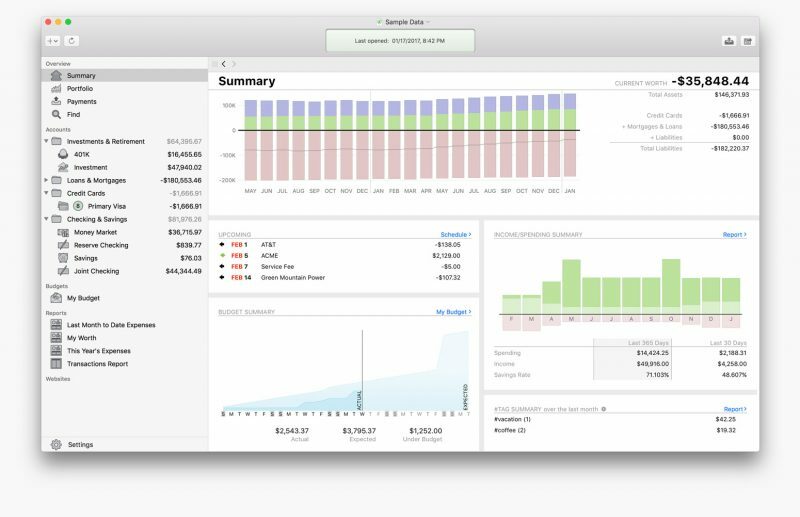 The software, previously known as iBank, has been redesigned for macOS Sierra and updated with several new features, including Workspace, Tags, Quick Reports, Find, and more. Banktivity 6 introduces Workspace, a new feature that enables customers to view any account, budget, report, or other view side by side. "For example, users can put transactions for an account next to a budget to see how recent spending affects the budget," the company said. Tags have also been added, allowing individuals and small business owners to see and analyze their income and spending habits across categories. "Now when a person goes on vacation and spends money on dining out, gas, air fare and hotels they can tag all those transactions as a 'vacation,'" said IGG. A new Quick Reports feature lets users select transactions and then quickly bring up a detailed report based on the selection. "For example, if a customer were wondering how much money was donated to a specific charity last year, a Quick Report answers that question with one click," the company said. Find is a new document-wide search feature that enables customers to search "almost any part of any transaction" within an entire Banktivity document. The app's sidebar has a new feature called Portfolio that provides quick access to the performance of investments. Portfolio's customizable view shows high-level information such as cost basis, value, gain/loss, security price, and IRR, and clicking on a security brings up a complete analysis of that holding. Banktivity 6 features over 100 changes and enhancements, including more flexible report grouping, new transaction editor with improved keyboard support, new reconciliation process, a new summary view, improved transaction downloads, more flexible budgeting, easier in-app navigation, redesigned reports, and more. IGG said Banktivity 6 will be released in the Spring for $64.99. Users upgrading from Banktivity 5 will qualify for upgrade pricing of $29.99. Customers who purchased Banktivity 5 from the IGG Store between January 23 and Banktivity 6's launch will receive a free registration code to unlock the new version. 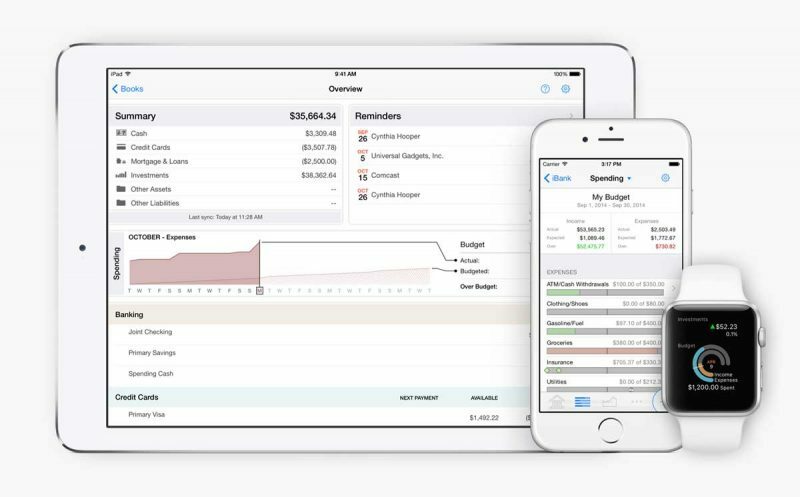 The app will sync with Banktivity for iPhone ($9.99) and Banktivity for iPad ($19.99). Yep, you can configure the app to pull from your financial institutions via OFX. Everything comes to your Mac directly. You can then sync that to their own custom sync service to get the info to the iOS app, but that isn't via iCloud or anything. They rolled their own sync, which works very very well. In this case, your Mac app is the main head end of everything; you have to download transactions from all of your institutions, you generally want to review it for any edits or tweaks you want to make (renaming the transaction, most often), or adding memo lines, then issue a sync to their end. Then, open the iOS app, pull the sync data and it's there. You can make changes on the iOS app as you wish, and it will re-sync back to their end, but you'll have to open the Mac app again to get the changes. Regardless, the data always ends up residing on your devices locally (kinda like Dropbox behavior, rather than iCloud behavior). In this scenario, the iOS app can't get new transaction data directly; iOS apps are only fed info from the Mac app. This sync service is free to you. The data is still encrypted by the devices before the sync is sent. Alternatively, they do offer an optional "Direct Access" service where *everything* resides on their end, including transactions. In this case, the iOS apps *can* get new/updated transaction data directly, as would the Mac app. But you don't have to sync between the two inherently. This is more of the iCloud behavior rather than the Dropbox behavior. The Direct Access service is a subscription you pay to IGG to run all that. No, they don't have any "web front end" service (and I consider that a feature, not a bug). They have a ton of institutions they can work with, but if yours isn't on the list, you can always do a manual download-OFX-from-the-bank and import the file. Looks interesting. Does anyone know how suitable this app is for tracking investments, etc., or is it really just for personal budgeting and the like? * Investment types: Track stocks, bonds, mutual funds, ETFs, CDs, money market funds, precious metals, commodities, and stock options with ease. You can also enter watchlist items and indices for quick reference. * Quote downloading: Automatically retrieve up-to-date quotes from Yahoo! Finance at the click of a button. International exchanges are supported too. * Security management: Check the current market value and price history for each of your securities at a glance, adjust security names and ticker symbols, and check the performance of indices. * Investment reports: Easily generate reports to analyze your capital gains (realized and unrealized), security income, portfolio diversity, and return on investment (ROI). Check the current market value of your portfolio and drill down into any security to view details of your investment activity over time. * Expert trading: Banktivity 5 now lets you categorize investment transactions. Banktivity also supports short and long puts and calls, stock option trading, bonds and more. I'm curious if there are any users in the house who can speak to how well it works? Thanks for the description. In you opinion, what makes this better than Mint? I ask because Mint is free and this has a cost associated with it. Therefore, I would expect some extra features that make the price of admission worth while. Thanks for any insight you can provide. My wife can have the iOS app on her iPhone (I just login with my IGG account and tell it to pull that data file for sync), and she has all the same stuff. I do the free-sync-method rather than Direct Access. When they did the name change and major app update (wonderful improvements!) the app now auto-syncs when it opens, so all she has to do is just open it now. If she makes a change, it auto-syncs again. Modifying that value affects the same on the other account because they are linked entries. It can also auto-calculate and keep up with installment loans like car payments (principle and interest) and even mortgage payments with combination of escrow, taxes, principle, interest, and your optional surplus payments. They do have a 30-day free trial you can use. The article should have mentioned that. Go to their web site and just download the app. It's fully-functional for 30 days. Then you buy and enter a license key to keep going. Sadly, I don't think the iOS app has any similar free trial feature, tho. :( So you can't play with the sync service. Is B6 stable? I see it is now offered on the Canadian Mac App Store, but no reviews posted there. Thanks. I've been using it since April with no problems. Don't forget you have to pay to direct download ofx. I was a user of them for many years. Think I started using them at iBank 2. But with quicken's recent improvements I switched them and am enjoying it much better. I went to iBank after Quicken abandoned the Mac. I've gotten to really like iBank. I recently tried the new Quicken for Mac. It was atrocious. Nothing like the old Quicken and far inferior to iBank. I'm surprised you like it better than iBank. You don't. I think you are confusing OFX download with Banktivity's Direct Access option, which does have a fee. But Direct Download (which downloads OFX) is free. Maybe my accounting needs are simple. After Quicken gave up I tried several others, money dance, mint, quickbooks and some open source stuff. Using it since iBank 4 and I keep posting that the UI is somewhat non Mac intuitive and too many clicks needed for a Mac program. They claim they run their entire company finances with their own program, makes me wonder. Once one learns the program, it's keyboard short cuts and workarounds for what is annoying it is very good, not excellent! I manually download my bank info, as I try not to pay for anything per month. Works just fine, but needs to be hand refined. Mint is free, but inflexible and I believe it can't be free forever, plus advertising is a no go. Don't really care who has my info, but I prefer it on my computer. As for customer service they run hot and cold. If you are suggesting changes for the better they send you to a requested features list, which doesn't solve your problem. I once had a corrupted database and somebody worked with me tirelessly over a week to fix it. Since everybody has different accounting needs it is unfair to criticize it for what it cannot do. I will upgrade. It already has a lot of bells and whistles I don't use right now. Maybe my problem is that I don't have enough money to require a super financial program. BTW: There is a guy on Amazon who wrote the best neutral review about the original app. Thanks. I ended up downloading B6. Nice that I can run it parallel to B5 until I am comfortable switching. Spent a couple of hours checking out B6, all good so far. I have been using ibank/banktivity for several years. As long as I only use the mac app, it works well. My issue is that I rarely used the iOS apps, but when I did at least a dozen times they have added multiple duplicate transactions to the shared data, causing lots of grief to find them and delete the transactions. It would take an hour or two each time to find all the issues and correct them. Finally, after about two years of having this happen, I smartened up and dumped the iOS apps from my devices. I don't know if I will pay the $30 to upgrade to the new version, or find another solution. The sync issues have really left a bad taste in my mouth. FYI, I am using the paid direct access to update my accounts. * Download transaction data — There are no fees when you log in to Online Banking and export your account information directly into Quicken. I have been an iBank/Banktivity user since 2009, and I can say from experience, this software is a pice of junk. Moreover, I found their customer service to be completely unresponsive. I have been itching to switch back to Quicken for some time, and I am taking advantage of the new calendar year to do so. As user Richdmoore indicated above, the problem of multiple duplicate transactions is an incredible annoyance. This was particularly acute in my main Bank of America checking account, which has a relatively large number of monthly transactions. I was able to work around this by performing manual downloads and imports, but that sort of defeats one of the so-called features of this product. Even then, the software is unable to put the correct payee name from the manual download file into the payee field. What happens is that instead of populating the field with the name specified on the downloaded statement, the software uses the name of a payee from a previous month. What I end up with is 30 entries all listed as "Joe's Crab Shack," or some other previous payee, and it's a different name every month. I then end up going back and changing each payee name and category to reflect reality. It doesn't happen with every transaction, but about half of them are wrong. In short, using Banktivity creates lots of extra busywork that shouldn't be necessary. I have reported this problem several times, and I keep thinking "ok, with the next update they're going to fix things," but it never gets better. I am done hoping the next version of Banktivity will be better. History has shown it doesn't improve. That's why I am bailing on this product. Maybe I won't like the new Quicken, but if it works half as well as Banktivity, it's a winner. The Banktivity mobile app has its own set of issues.